Rumors are all over the place with Canon RF, mostly due to a long list of published patents. We see 35mm f/1.4L, 28mm f/2.8, 70-300mm f/4-5.6, 85mm f/1.2L, 90mm f/2.8 macro, 135mm f/1.8L, plus a bunch of DO lenses that could be in RF mount in the recent patents. And that's just the most recent, easily found patents. What immediately strikes me is that Canon has 28-70mm covered. 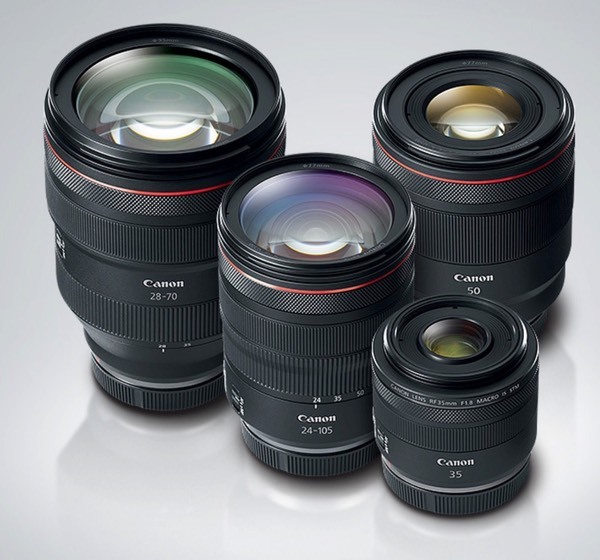 If your need is in that focal range, Canon has plenty of options for you, with more coming. Wide angle and telephoto are where the lineup appears weak and needs to be strengthened. So let's give Canon 16 lenses to roll out in 2019/2020, what should the unknown ones be (that would be 11 more unidentified ones, and as with my article on Nikon Z lenses, I'm going to boldface my choices)? Clearly we have two consumerish bodies (R, RP) that need more consumer lenses than just a 24-240mm and 35mm macro. We need a wide angle zoom (16-35mm f/4), an inexpensive mid-range non-L (24-85mm f/3.5-5.6), and a basic telephoto zoom (70-300mm f/4-5.6). We probably also need a 50mm lens that isn't the big, fat, expensive f/1.2L, too (50mm f/1.8). Canon certainly knows that some of their most popular primes have been the inexpensive near-pancakes, which attract both the consumer and the enthusiast. I'm on record as saying that every Canon EF user should have at least one of those lenses in their bag. For RF these would be a 24mm f/2.8, a 35mm f/2.8, and a 40mm f/2.8. Telephoto needs a lot of love in RF: we're missing a macro (90mm f/2.8, but I'd rather have something longer), a modest high-end telephoto zoom (70-200mm f/4L), and of course, the seminal Canon long telephoto zoom equivalent (100-400mm f/4-5.6L). A fast 35mm prime (35mm f/1.2L) and a wider angle prime (24mm f/1.4L) also seem to be missing, but you could say that pretty much all primes up to 50mm are needed in a fast livery. That doesn't leave room for anything exotic. Tilt-shift, diffraction optic telephotos, and fast telephoto primes would still all be missing with the 11 lenses I just noted. The thing I've noted before about Canon's RF initiative is the mismatch in lens and body levels. We've gotten the more consumerish 6D (RP) and basic 5D (R) type bodies, but not really the lenses that match them (thus the need to fill in all the more consumer-type lenses; six of my eleven choices fit that definition). The more RP bodies Canon sells, the more extreme this problem becomes, and I think Canon will sell a lot of RP bodies. Meanwhile, Canon is reasonably well set up for a 5Ds/r and/or 1Dx transfer to mirrorless—or some new high-end body—but those bodies aren't here yet, so we have this odd L-quality lens but non-L body mismatch. That's a mismatch in price as well as required quality, which is what I think Canon will be fighting until they correct it. 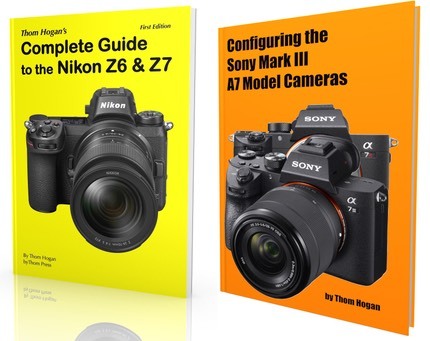 Curiously, of the five lenses Canon announced development of for 2019, four are still L's! So this mismatch is going to continue, apparently.